Welcome to the AAUW Long Beach Branch! elected more women from throughout the country to hold positions in both the House of Representatives and the Senate, as well as in state and local levels. 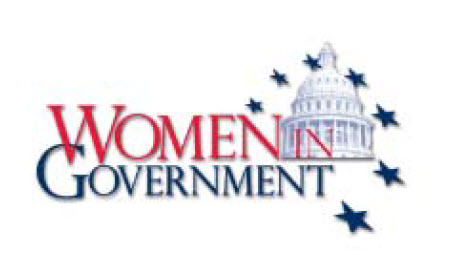 Women are taking their places in powerful positions in all levels of government. Despite winning the right to vote almost one hundred years ago, we find that we are still surprised at the most recent election results. Since the 1960s, women throughout the country have been increasingly involved in local and state politics, and they have made a difference. We keep coming closer to having our first woman president, a goal already achieved by 56 other countries in the world. We remain hopeful that our time is growing near. The speakers at our Branch Meeting will be locally elected women involved on school boards and city councils. They are now part of the leadership in Long Beach and Lakewood. We look forward to hearing from Megan Kerr – Member of the Board, Long Beach Unified School District; Sunny Zia – President, Long Beach Community College District Board of Trustees; and Lena Gonzales – Long Beach City 1st District Councilwoman. Please join us on Saturday April 6. Bring your daughters, granddaughters and your young friends who might have some political aspirations themselves. The doors are now opening wide for women in politics. 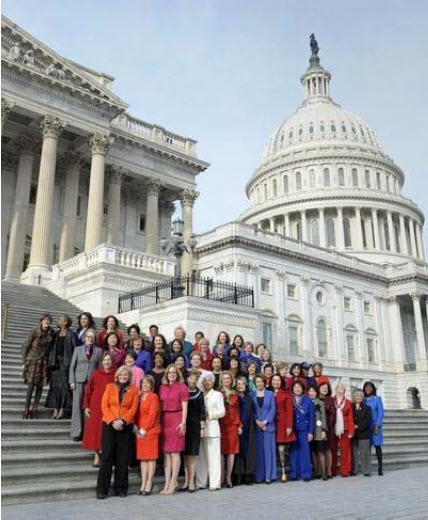 Women will shape America and its leadership role in the world! Checkout the Vantage for more details. To see more of past events, click here. Are you earning what you deserve? In 2015, full-time working women in the U.S earned 80% of what men earn. In California, the figure is 86% – better, but still not at parity. A portion of this gap is attributed to women’s lack of knowledge in how to best negotiate for their salaries and benefits. Created for working women, AAUW Work Smart is an interactive 2-hour workshop that teaches you to evaluate, negotiate, and articulate your worth confidently in the job market. For more specific details, please see AAUW Work Smart under Projects on this website. 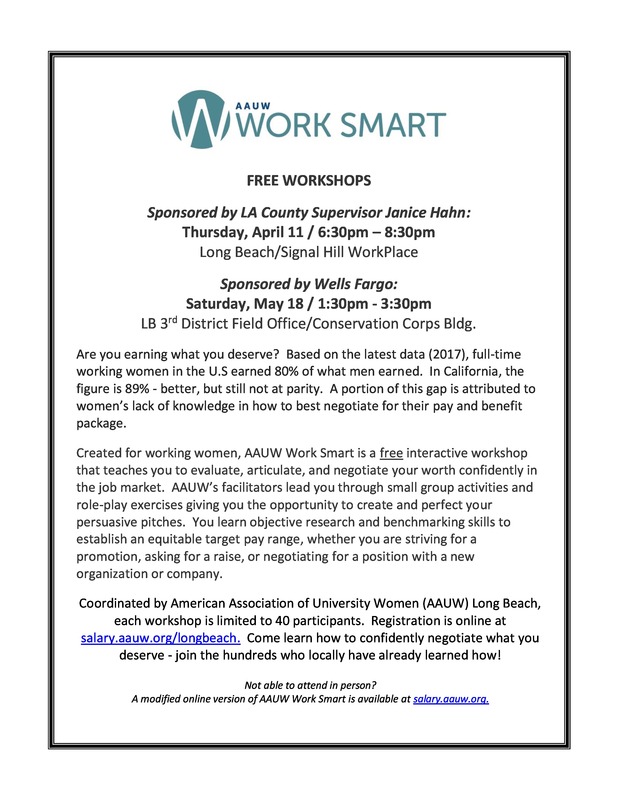 Coordinated by American Association of University Women (AAUW) Long Beach, the AAUW Work Smart workshops are offered free to the public. Reservations for the workshop must be made online at salary.aauw.org/longbeach. Attendance is limited to 40 participants. Come and learn how to negotiate what you deserve! And, join our group in LinkedIn!